Most institutions of higher education follow a set pattern of teaching. Classroom teaching imparts a bit of theory. Students are then burdened with project work. The onus of learning is on them. This method may reduce load on the academic faculty but it does not lead to turning out fully empowered and capable students, especially in highly specialized fields like management studies. Unfortunately, many business schools in Delhi and elsewhere seem to follow this pattern. It is so convenient. Any student who looks forward to a bright future with good career prospects must make the right selection by way of b schools in Delhi. Most promise. Few deliver. The faculty does make a lot of difference. 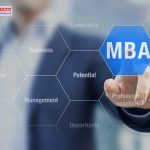 You can decide which business school in Delhi is worth the money simply by taking a look at the faculty and management. 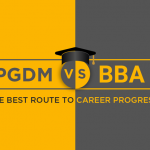 A business school that is operated by IIMA alumni and has top IIMA alumni as faculty is a good pointer to the fact that you will get more than theory in training. You get into an immersive experiential learning environment. Learning by doing is the best way to go ahead and gain capabilities as a future manager-leader. When you choose business schools in Delhi offering experiential learning whatever theory you learn is put into practice in real life situations. When you do so, you face challenges and also learn how to overcome them. By experience you also learn that it is not smooth sailing and you should anticipate problems and be prepared. Being good at theory is something that comes naturally to some students but they find that real world is different. So, even they perform brilliantly in business schools, their performance in life may not reflect academic brilliance. Experiential learning from the outset in business studies is a great leveler. Those who are not so good at theory can grasp it better through hands on practice. Those who excel in theory but lack in implementation balance out this inequality through experiential business training in one of the best business schools in Delhi like FOSTIIMA. Theory is something one does by oneself. Management is about team work, interaction and problem solving through engagement and understanding, in one perspective. Personal interaction also improves right from the start. By the time students graduate, they are well seasoned instead of being raw. Employers are looking for seasoned professionals and are paid accordingly even though they are fresh out of the best b schools in Delhi. 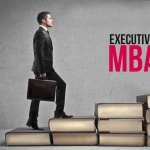 People do not join institutions of higher education of business schools in Delhi just to gain knowledge. This can be done without spending money. The focus is to spend money in order to get into well paying jobs, a brilliant career and a well-settled life. Experiential learning empowers students and gives them the best returns.